Sprinkler Installation Deal - MaKen Irrigation, Inc.
What's New at Maken Irrigation, Inc.
Limited Time Offer! 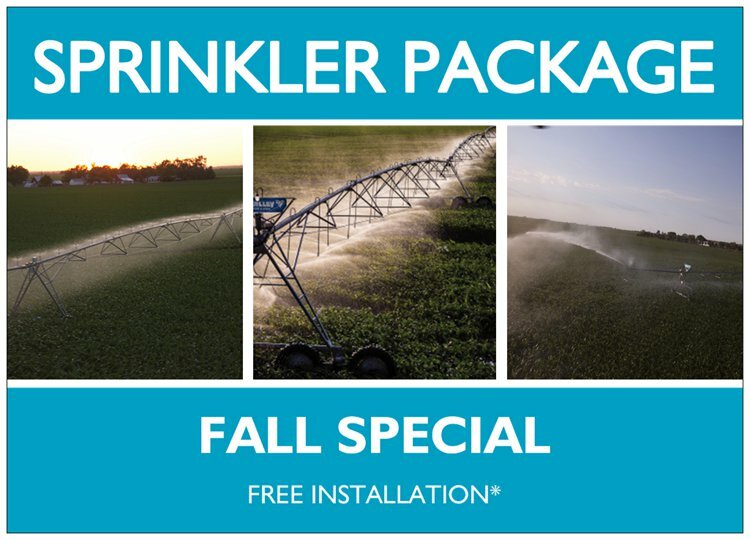 Stop by Maken for your Sprinkler Package. 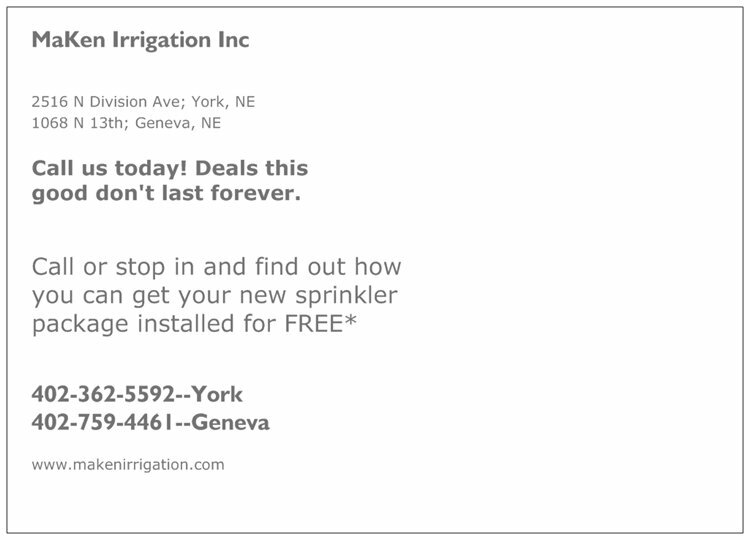 Find our featured Irrigation Repair in Pivots, Well Drilling and Irrigation Systems featured as a York, Nebraska Business in York Marketplace.